Friends & Family! The time has come to announce the most delicious, amazing and mind blowing giveaway ever! Have you heard of NadaMoo!? Well here is the low down. This ice cream is vegan. It had chunks of gluten-free & vegan cake and cookies. 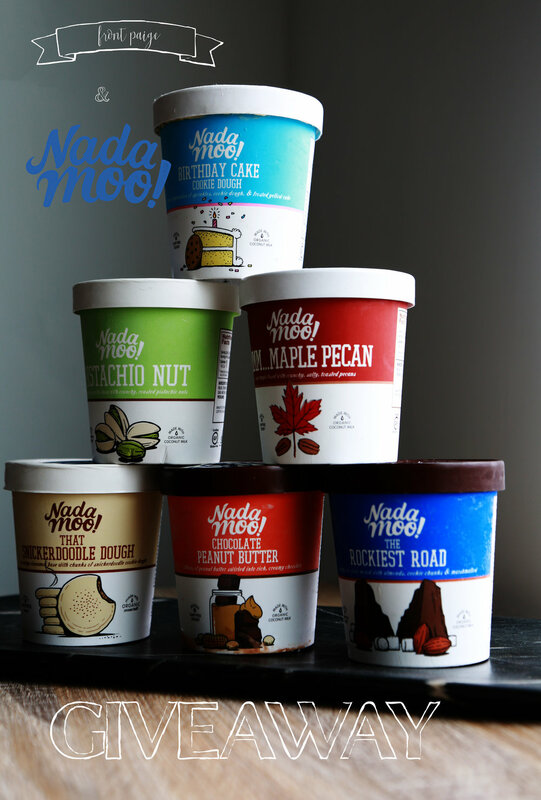 if you don't live in the Salt Lake City area..... you can enter to win an adorable ice cream bowl and scoop with some amazing redeemable coupons for a free pint of NadaMoo! at your local grocery store! NATIONAL (USA): 1 adorable ice cream bowl, an ice cream scoop and a handful of NadaMoo! free ice cream coupons redeemable at your local grocery store! Giveaway ends 10/13/2017 at 11pm MST!